Well, Qupzilla (viewtopic.php?t=14412) development may have been arrested but not its successor Falkon (https://www.falkon.org/), as proven by a 3 months old new release. Falkon still claims portability (untested! ), reason enough to give it a dedicated topic in order to keep tabs on it. Falkon is a KDE web browser using QtWebEngine rendering engine, previously known as QupZilla. It aims to be a lightweight web browser available through all major platforms. This project has been originally started only for educational purposes. But from its start, Falkon has grown into a feature-rich browser. 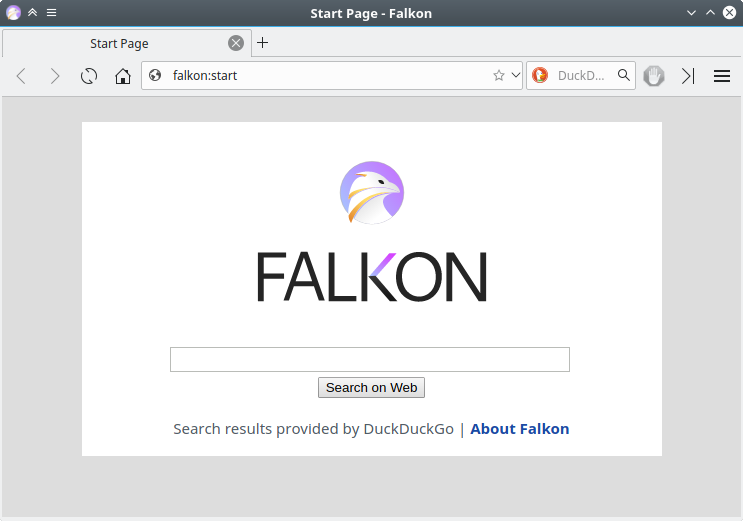 Falkon has all standard functions you expect from a web browser. It includes bookmarks, history (both also in sidebar) and tabs. Above that, it has by default enabled blocking ads with a built-in AdBlock plugin. Falkon latest 32 and 64-bit Windows release (currently v3.0.1) can be downloaded from https://www.falkon.org/download/. You can choose between Standard (system-wide) installation and Portable installation which only extracts files and setup the application to run in portable mode by default. So I tested out Falkon, which I found underwhelming. The fonts are quite small, there's little in the way of features, a lot of options were unclear to me and menus seemed unfinished. The program seems to work okay but I'm just not sure what's attractive beyond built-in adblock and lower RAM usage vs. other browsers. That said, I am glad someone's at least trying to make a different browser. I need another Chromium front-end like I need a hole in the head.